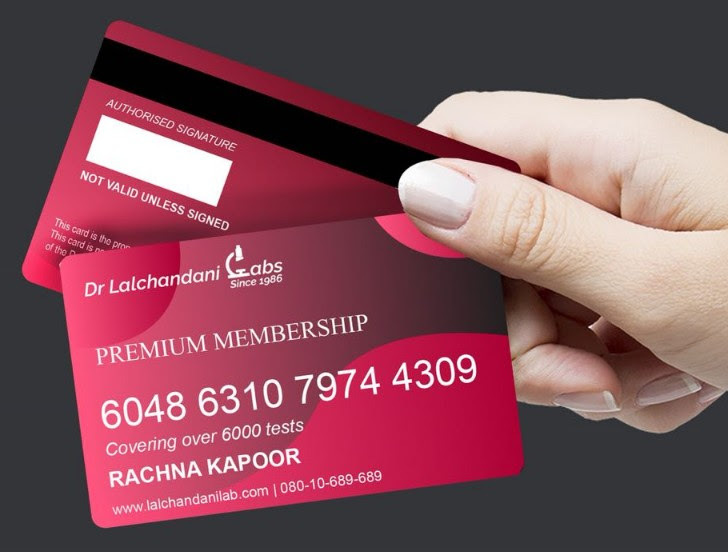 Dr. Lalchandani Labs is launching a Premium Customer Loyalty Health Card that offers an impressive line-up of features and facilities in the best interests of its valued customers. Include any 4 family members and avail numerous benefits for all Health Packages and Radiology & Pathology services including over 6000 tests all throughout the year. Get up to 30% discount on all health packages for all 4 members of your family. Get your sample collected with our priority collection facility from your doorstep at your convenient time and at no additional cost. Avail 24X7 emergency blood bank services from our in-house blood banks. Free One Time Checkup for Blood Counts, Thyroid, and Sugar for 1 family member, dedicated family doctor consultations and priority health checkups at our GK-1 and Punjabi Bagh Labs. So, what are you waiting for? Call us now @08010689689 to know more about this Exclusive Health and Wellness Offering.